The Asuka Period is a period in Japanese history, stretching from the end of the 6th century to the beginning of the 8th century, during which the capital was located in a place named Asuka. It overlaps with the last part of the Asuka period (the Tumulus Period). In a narrow sense, the Asuka Period lasted for 102 years, from 592 to 694, the time at which the capital was moved to Fujiwara. Formerly the Asuka and Asuka periods were together called the Yamato Period, but today it is common to separate the two. 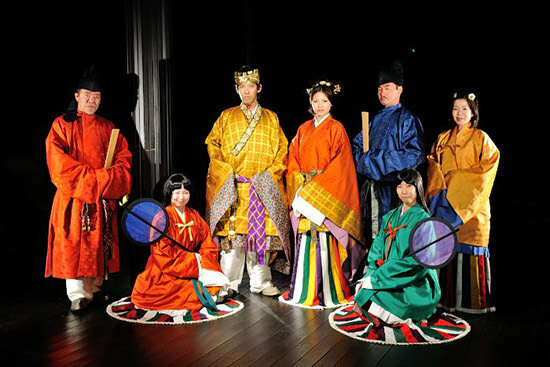 During the Asuka Period, Asuka culture prospered in the age of Empress Suiko and Hakuho culture flowered in the ages of Emperor Tenmu and Empress Jito. 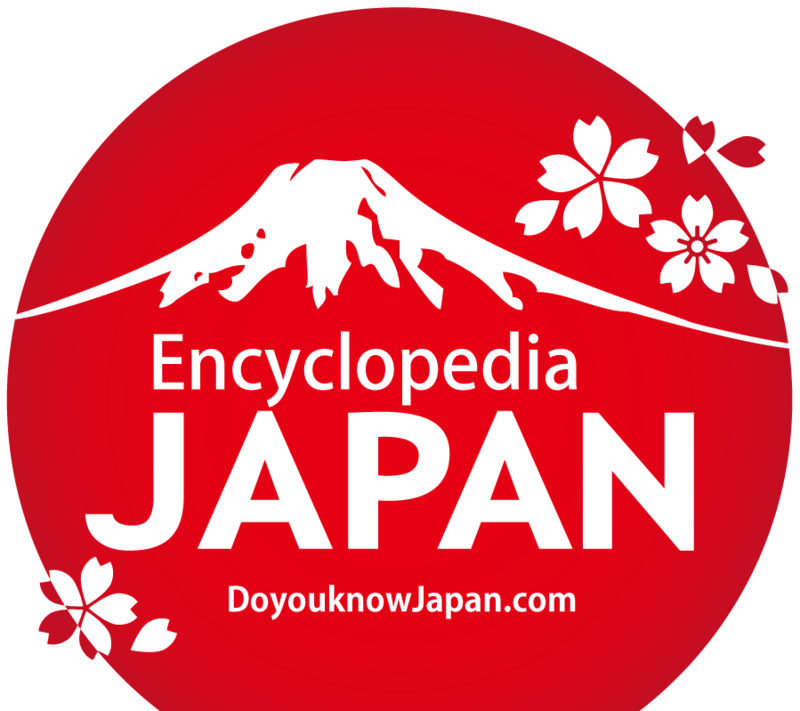 It is said that the name of the country was changed from Wakoku (Wa) to Japan in this period. 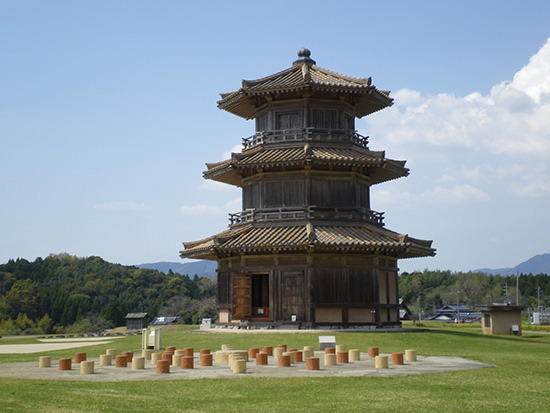 It is said that the name of this period stems from the fact that the palace and capital were located in Asuka, near present-day Asuka Village, Takaichi County, Nara Prefecture. The phrase &apos;the Asuka Period&apos; originally began to be used in relation to the history of art and architecture. 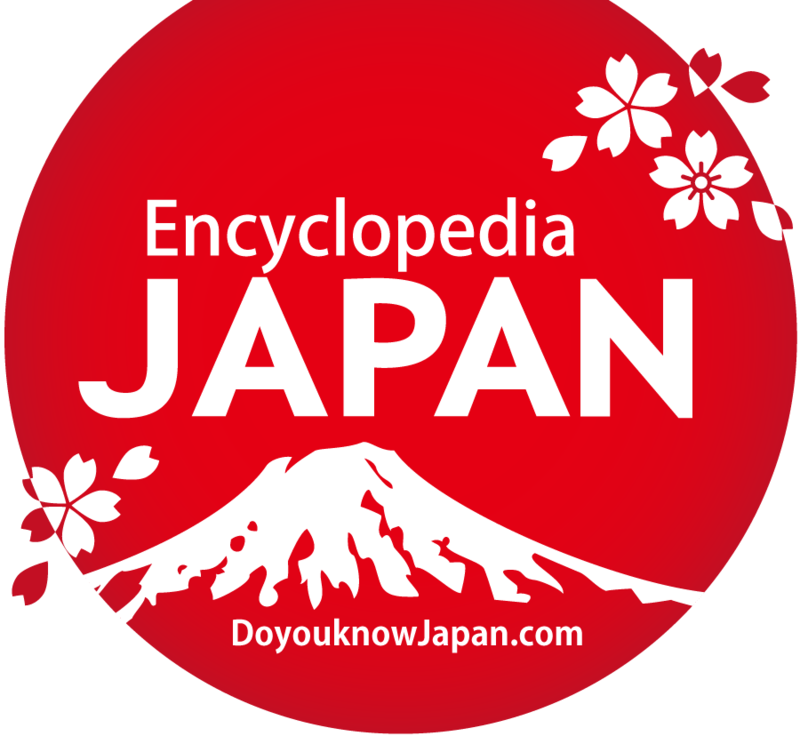 The use of this name for the period of history itself was proposed by two art scholars, Tadashi SEKINO and Tenshin OKAKURA, in around 1900. Sekino proposed that the Asuka Period continued until the time of the Taika Reform, yet Okakura suggested it continued to the time of the relocation of the capital to Heijokyo (close to present-day Nara City). Okakura&apos;s proposal is usually adopted in relation to Japanese history, but in the art and architectural worlds, they follow the viewpoint of Sekino and distinguish the period after the Taika Reform from the Asuka Period, using the name of the Hakuho Period. In 538, King Seong of Baekje presented the dynasty with a Shaka Buddhist image and the Buddhist scriptures and commentaries, and Buddhism was officially introduced to Japan. 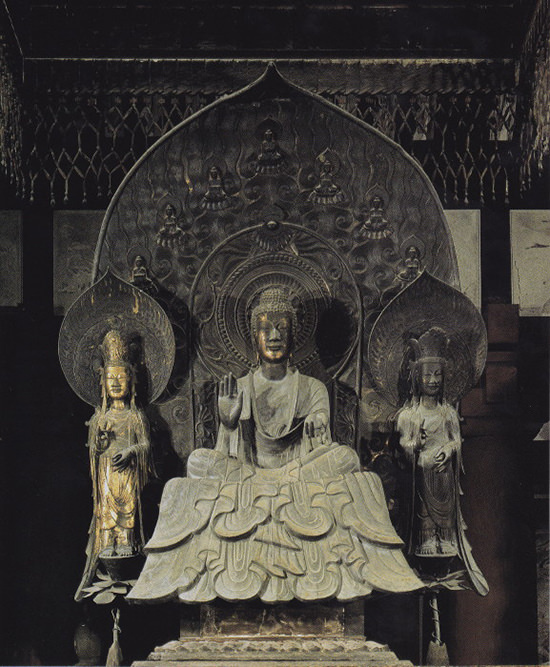 In 587, Moriya MONONOBE and Umako SOGA confronted each other regarding the Empress&apos; faith in Buddhism. Prince Shotoku sided with the Soga clan and destroyed the Mononobe clan. 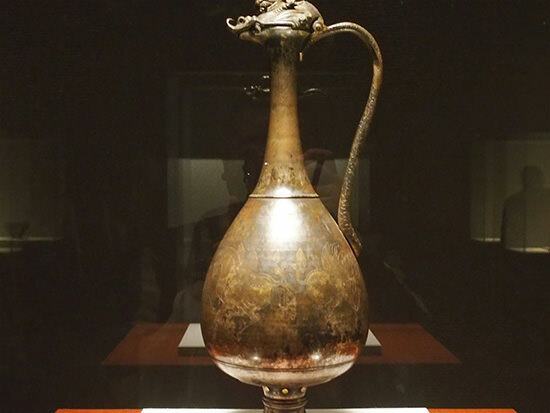 Following this, members of the Soga clan wielded ministerial power over the next half century. In 588, Umako SOGA began to erect Hoko-ji Temple (Asuka-ji Temple) in Asuka. In 592, Umako SOGA used Koma TOKAN to assassinate Emperor Sushun and established Suiko as empress. Prince Umayado (Prince Shotoku) was appointed crown prince and became regent to Empress Suiko. 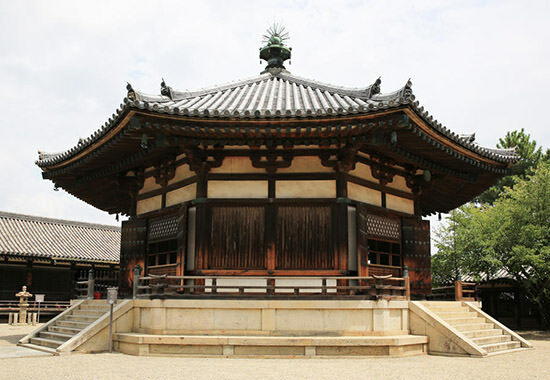 In 604, Prince Shotoku established a system of twelve courtly ranks, promulgated the Seventeen-Article Constitution, strived to develop Buddhism and laid the foundation for an ideal national system with the emperor as the nation&apos;s center. The Kuninomiyatsuko (local chief) system was introduced through the whole country no later than the time of Empress Suiko. Local chief was a kind of title which was given to powerful clans in various places who were subject to the emperor&apos;s authority; it was a form of provincial government in ancient times under the Yamato political system. Prince Shotoku died in 621, followed by Umako SOGA and Empress Suiko in 626 and 628 respectively, and with this the era of the first empress in Japanese history, lasting for 36 years, finished. According to the Chronicles of Japan, after the deaths of Prince Shotoku and Empress Suiko, the high-handedness of Emishi SOGA and his son, Iruka SOGA, became apparent. After the death of Empress Suiko, Emperor Jomei (then Prince Tamura) and Yamashirooenoo (a son of Prince Shotoku) emerged as the leading candidates to succeed to the Imperial Throne. Emishi supported Jomei on the basis of Empress Suiko&apos;s last will, but as Marise SAKAIBE, a member of his family, supported Yamashirooenoo, Marise was killed by Emishi. 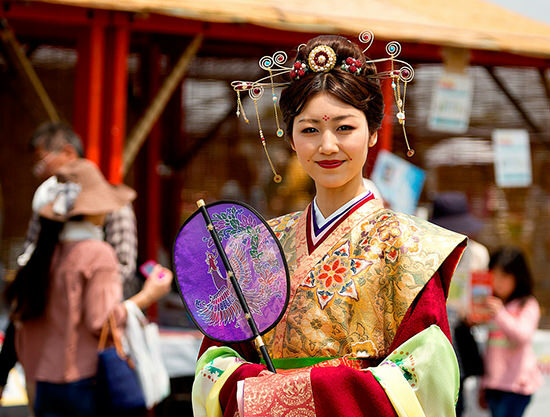 After the death of Emperor Jomei, the queen dowager acceded to the throne as Empress Kogyoku. Emishi and Iruka became increasingly authoritarian, and the Soga clan usurped political power, using the &apos;purple crown&apos; for their own purposes (the purple crown was used only for people of the highest rank such as emperors), and exterminating the Yamashirooenoo family (Uetsunomiya royal house) in 643. In 645, Prince Naka no Oe (later, Emperor Tenji) and Kamako NAKATOMI (later, Kamatari FUJIWARA) assassinated Iruka SOGA at the Imperial Court, drove Emishi SOGA to suicide and annihilated the Soga clan, in what is known as the The Isshi Incident, or Incident of 645. Emperor Kotoku, who had recently ascended to the throne, promoted a succession of reforms which have come to be known as the Taika Reform. According to the Chronicles of Japan, in January the following year Emperor Kotoku made an imperial proclamation to enact reform and began restructuring the political system. The emperor reformed the central government system, increasing the number of ministers from one to three, namely the Minister of the Left, the Minister of the Right, and the Minister of the Inside (Uchitsuomi: senior adviser to the emperor). The emperor ordered provincial governors in the eastern provinces to survey family registers and land. After the death of Emperor Kotoku, Prince Naka no Oe obtained real political power. For reasons unclear Prince Naka no Oe did not become emperor himself, but made his mother Empress Kogyoku take the throne again, as Empress Saimei. For several years after the death of Empress Saimei, while he did not succeed to the Imperial Throne he administered government affairs as Crown Prince. In 663, Prince Naka no Oe dispatched troops to the Korean peninsula to help the Kingdom of Baekje (Kudara) rebuild the country, but the Japanese army was soundly defeated by the Silla -Tang allied forces in the battle of Hakusukinoe, at the mouth of Kum River. The defeat in the Korean peninsula was a serious threat to the governing class in Japan and led to the building of defense facilities in various places in Japan. In 664, they built a castle in the province of Chikushi in Kyushu to defend Dazaifu (the political center in northern Kyushu at the time) and forts in Tsushima, Oki and Chikushi with sakimori (coastguards) stationed there. In 666, they moved more than 2000 of the people of Baekje from Korea to the eastern provinces of Japan and promoted the construction of defense facilities. 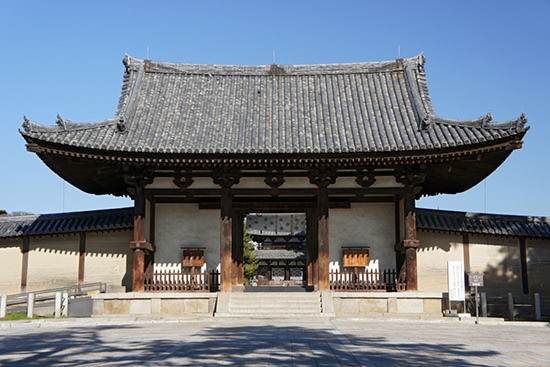 In 667, the imperial palace in the capital was moved to Omikyu, a place easier to defend. Takayasu Castle in Yamato region, Yashima Castle in Sanuki region (in Shikoku) and Kaneda Castle in Tsushima island were also built. In 668, Prince Naka no Oe ascended to the throne as Emperor Tenji. In 670, Emperor Tenji created the nationwide family register system and promoted a national policy of surveying the condition of the people. He also organized the construction of defensive barriers in the eastern provinces. After the death of Emperor Tenji in 672, a war was fought between Prince Oama, the brother of Emperor Tenji, and Emperor Kobun, the son of Emperor Tenji. This was the Jinshin War of 672. Prince Oama won the war with the help of powerful regional clans and acceded to the throne as Emperor Tenmu. Emperor Tenmu strived to develop a centralized national system of government. 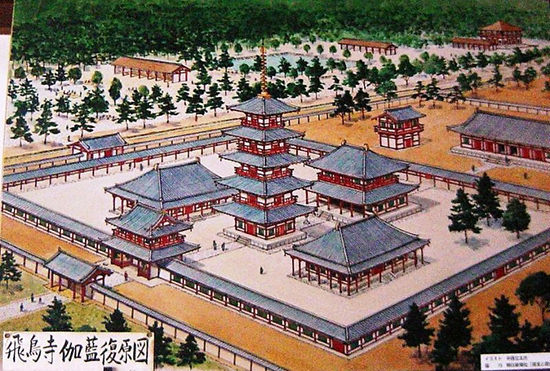 At the end of 672, Emperor Tenmu moved the palace to Asuka Kiyomihara Palace. Emperor Tenmu enforced a range of measures, such as a law relating to the appointment of government officials, the reversal of the Koshi pronouncement, and the ordering of the return to the court of mountains, islands, beaches, woods, ponds and other assets owned by aristocrats or shrines and temples; he also opened the way to government positions for members of powerful remote regional clans as well as those near the capital and talented farmers, and established a new court rank and promotion system. In 681, Emperor Tenmu began the compilation of statutes. Five years later, in 686, Emperor Tenmu died. In 689, the administrative law of the Asuka Kiyomihara, composed of 22 volumes, was established and promulgated. A new penal law was not compiled, and it is thought that the Tang penal law was used as it was. The beginning of the establishment of a full family register at this time was an attempt to control the population. In 690, the Kanoetora year family register was established and this was the beginning of a family register survey &apos;once every 6 years. &apos;In 692, the government sent a handentayu (lord steward for farmland allotment) to people in the provinces near the capital and executed the law for tax payment according to the allotted farmland, based on the ownership of the farmland. In 702, the first family register was created on the basis of the Taiho Code and each member of the nation had been surveyed by the government. Moreover, Jori system (the system of land division) facilitated the readjustment of cultivated land and each member was allotted farmland. In 694, Empress Jito transferred the capital to Fujiwarakyo, Japan&apos;s first full-scale castle town. Empress Jito intended to hand over the throne to her son, Prince Kusakabe, but as he died young she ensured her grandson, Emperor Monmu, acceded to the throne after her abdication. In 700, Empress Jito made administrators learn Tang statutes in order to create a political system based on the ritsu (penal law) and ryou (administrative law) codes, following the model of the Tang (China) legal system, and in 701, the following year, the Taiho Code was completed. As a result of the completion of the Taiho Code the centralization of the government system by aristocrats and bureaucrats with the Japanese emperor as the top was accomplished. 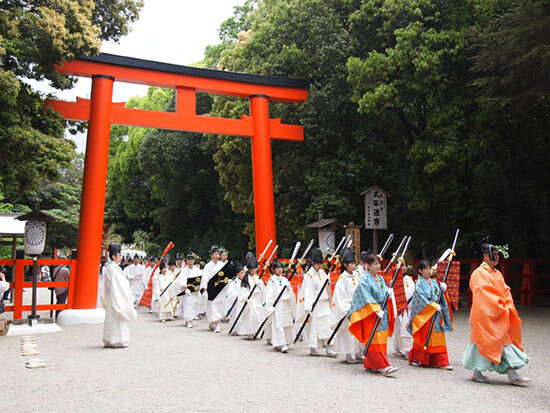 It is considered that the accomplishment of this centralized government system marked the completion of the formation of the ancient state in Japan. A system with two kinds of officials (in charge of politics, and in charge of the Shinto religion) and eight ministries was adopted for central government; and a province, county and village system was adopted for local government. As for the tax system, taxes in kind or service were adopted and state finances started to become more stable. Consequently, the Keiun Reform was conducted in order to adjust for problems which had occurred with the enforcement of the ritsu and ryou codes. After the death of Emperor Monmu, his mother, Empress Genmyo acceded to the throne. 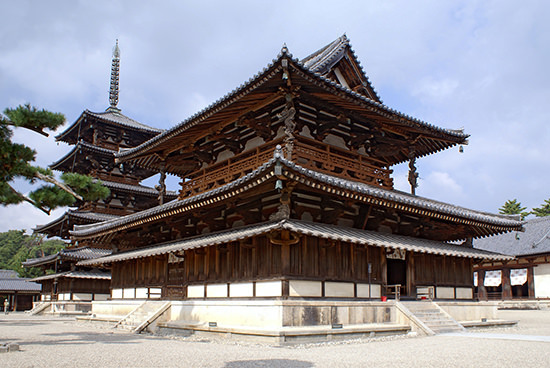 In 710, the court was moved to Heijokyo (present-day Nara).